>.<" Oh My God those applicators are SO tiny and seriously, how to get the perfect blending with those tiny weeny applicator?! Thus, I have switched to use full-size makeup brushes and I have never regret ever since. They make my makeup more enjoyable and being more experimental on trying out new techniques and colour combination! Syntectic bristles are recommended when using gel/creme texture makeup as they don't 'grab & hold' the colour as strong as animal fur/hair brushes. Best of all, they are CHEAPER than real animal fur/hair brushes! Real animal fur/hair brushes are VERY soft and gentle on the face! They have a stronger hold when picking up the colours and transfer relatively well onto the skin as well. Downside: They can be rather pricy but again, what you pay is what you get. Do take extra care when washing the brushes and use Brush Guard or Sigmas Dry-&-Shape to hold their shapes. (っ◕‿◕)っ ♥ So here are my favourite + MUST-HAVE brushes for my daily makeup! This syntectic brush is REALLY SUPER SOFT and the price is rather afforable too! Also, there was a period Michelle Phan was using this brand as well! Moreover, ECOTOOLS can be found in all major WATSONS outlets and you can either use your WATSONS points or their storewide sales to get these lovelies at a cheaper rate! Smoochiezz - Mention my name (SHUHUI) to get FURTHER DISCOUNTS! I bet this brand is not a stranger for all makeup fanatics out there! :) That's right! IQQU was founded by Michelle Phan around 2 years ago and this brush is really amazing! Made of real animal fur/hair, it is super soft and feels so gentle when applying onto my face. It pick up the colour well and just a gentle swipe to have that subtle blushing glow! LOVE this multi-tasking flat eyeshadow brush? Why multi-tasking? ✿◕ ‿ ◕✿ Of course, these don't apply to MAC brushes. 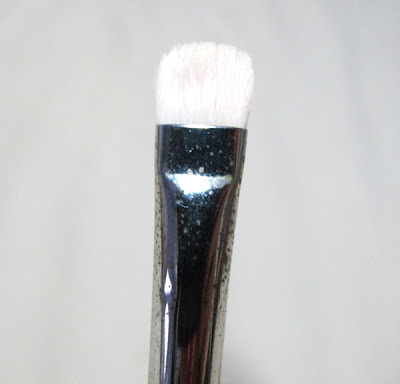 These techniques can be used on ANY flat-headed eyeshadow brush. But I really like this brush as the bristles are very firm and stiff BUT yet gentle on the eyes. For mono-eye lids, I really love tapered brush to apply colours for more definition around the crease area to create 'fake' double eyelids. This is one of my first MAC brushes owned and really I'm impressed how my MAC brushes have survived and performed depsite so many cleansing + 12367853245 times using this brush. HAHA! 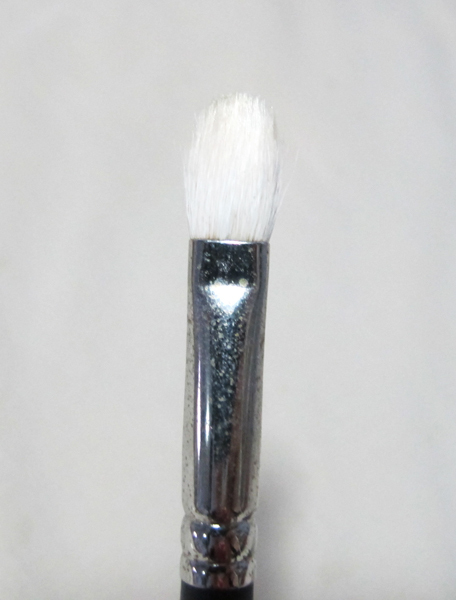 Again, this is an 'either or' brush compared with MAC 226 (tapered blending brush). (✿◠‿◠) Of course, these brands are my personal preference and for your consideration. 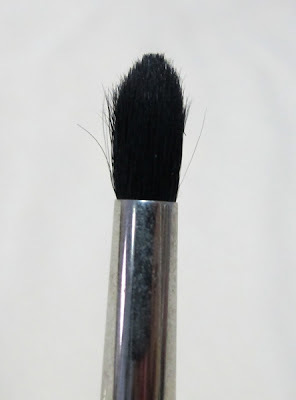 There are many good quality makeup brushes are there and if you can consider these as well! Hope the aforementioned information are useful for you guys and do leave me a comment/email if you have more + better deals to share! :) Thanks for your support and I will try to blog more reviews in near future!! !